Visitors who want to be close to all the action of the Grand Strand, but stay in a relatively quieter community, will fall in love with Surfside Beach. This small beach town located just south of Myrtle Beach, and located only 8 miles from the Myrtle Beach International Airport, is a great representative sample of all the grand attractions, lodging options, amenities and activities that its more populated neighbors have to offer, but with the relaxed atmosphere of a smaller beach getaway. 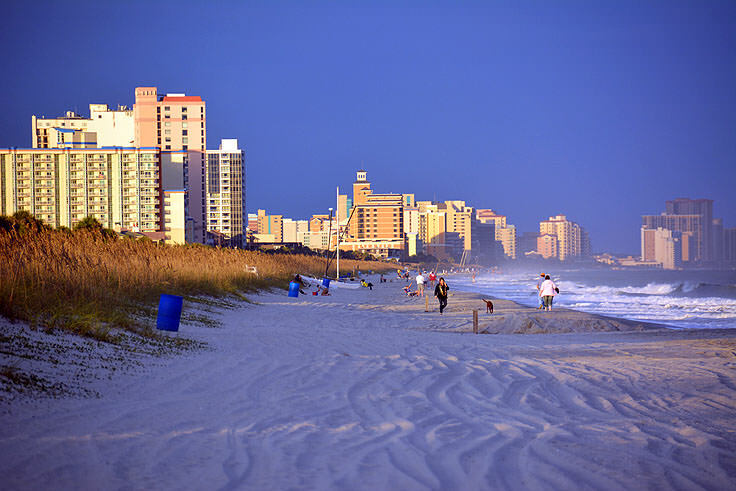 Of all of these communities, Myrtle Beach is certainly the largest and most recognized, and with hundreds of restaurants, shops and plazas, entertainment options, and well over 100 golf courses, it's no wonder that this beach town has such worldwide notoriety. 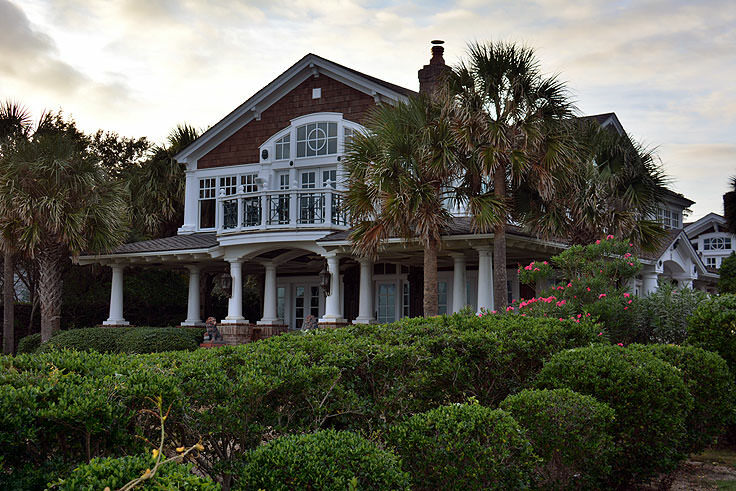 A vacation destination that can accommodate all groups, from families to spring breakers, or bikers to golfers, this coastal town literally has something for everyone and is a paradise for visitors who want to stay busy, and enjoy endless avenues of things to do, both on and off the golden South Carolina shoreline. Many visitors travelling along the main Highway 17 bypass or the Business 17 Beach Road, both of which are well stocked with bright colored shops, massive entertainment venues, and restaurants, may find it hard to believe that this always-busy beach town was ever unpopulated. 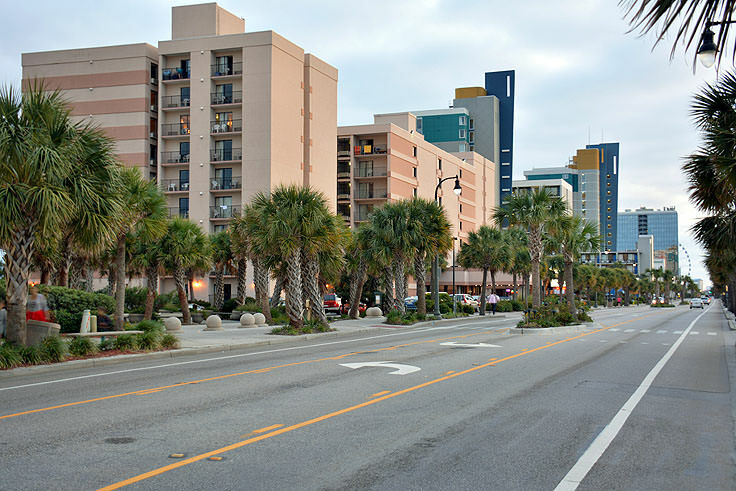 Surprisingly, however, while other Coastal Carolina communities like Charleston, Georgetown and Wilmington, NC were already established by the Civil War, Myrtle Beach was relatively deserted until the turn of the 20th century. Early colonization efforts were half-heartedly attempted, but tragedies and the hardships of living so close to the Atlantic Ocean eventually shut all efforts down. For example, the Withers family, a local family who received land grants to settle the area in the late 1700s, was all but wiped out when an 1822 hurricane ravaged the area, drowning 18 people in their home. This all changed when the Burroughs and Collins Company of Conway, SC purchased most of the Withers' coastal land in 1881, and established "New Town" in the early 1900s. The name "New Town" would later be changed to "Withers" when the first US Post Office was established, and then finally "Myrtle Beach" when the railroad was extended to serve the area. The Burroughs and Collins' descendants recognized the potential of Myrtle Beach, and spend the first half of the 20th century building the town into a tourist destination to rival the more popular New Jersey and Florida seashore destinations. 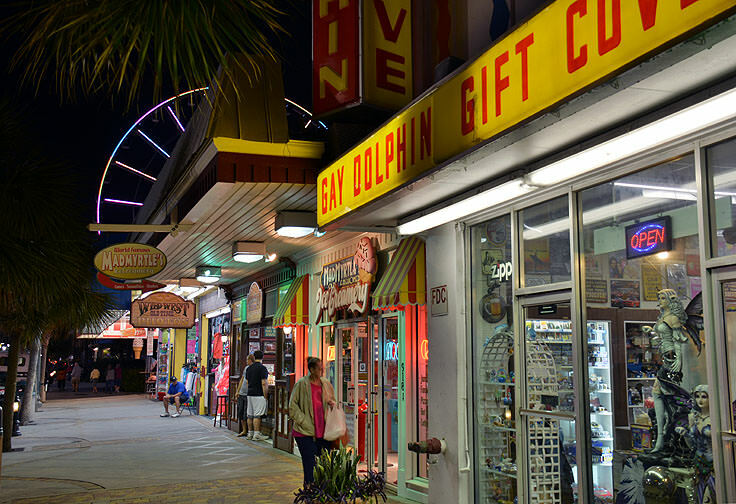 As now iconic businesses and landmarks slowly poured into the area, like the still standing Gay Dolphin Gift Shop or the "Fun Plaza," formerly Sloppy Joes in North Myrtle Beach, more and more visitors began to descend on the beaches. Military soldiers stationed in the region or on leave began to visit the beaches with gusto in the 1940s, and by the 1950s, Myrtle Beach was welcoming thousands of young families, groups of adults and college kids, fishermen who flocked to the local piers like the longstanding Cherry Grove Pier, and everyday curious vacationers who wanted to see what all the fuss is about. 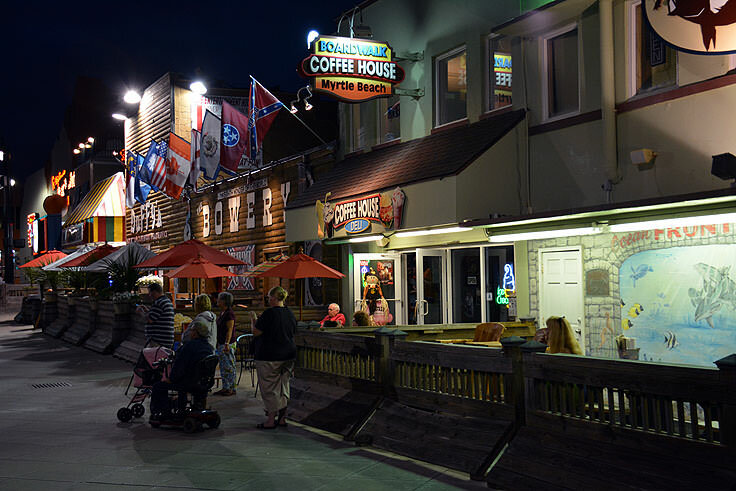 While this early era is, for the most part, long gone, visitors can still revisit the original Myrtle Beach at a number of dance halls that celebrate the original Beach Music and Shag-dancing scene. In fact, a 1980s movie dedicated to this period of Myrtle Beach, named "Shag" is still a cult favorite among long-time southern vacationers. Today, of course, Myrtle Beach is a vacationing Mecca, with countless things to do around every beach block. The newly built boardwalk in the heart of the town is a great place for newcomers to get their feet wet in the shore side scene, as the 1+ mile wooden walkway borders both the beaches and the heart of the oceanside business district. Bordering amusement parks, shops, restaurants, and arcades, a visitor could easily spend a full vacation just strolling along the boardwalk and soaking up the different things to do. Golf, arguably the state sport of South Carolina, is another popular pastime and the region has over 100 golf courses and more than 40 mini golf courses to challenge players of all abilities and ages. With a number of courses ranked among the world's best, golfing vacations at local resorts or adjacent vacation rental communities are popular among Myrtle Beach's guests, and the scenic Lowcountry courses are sure to challenge and delight any active vacationer. 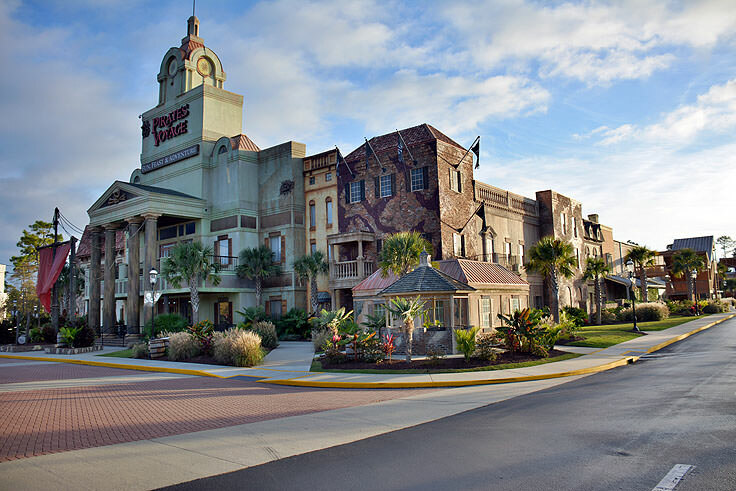 Shopping is another favorite local "sport," and Myrtle Beach is home to hundreds of boutiques, souvenir shops, and plazas that can cater to bargain hunters and elite treasure hunter alike. Shopping centers like the Market Commons in Myrtle Beach, Broadway at the Beach, Magnolia Town Center, and the Coastal Grand Mall feature hundreds of upscale and nationally recognized name brand stores, while outlet centers and discount finds, like the Tanger Outlet Mall or the Waccamaw Factory Shoppes feature oodles of designer duds at a steep discount. 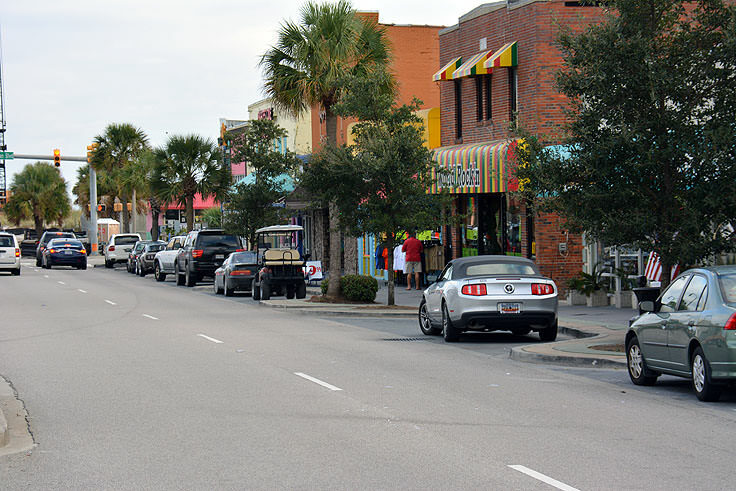 Like Myrtle Beach's other big beachside and golf attractions, it's not unusual for die-hard shopper to spend a full vacation scoping out the scene, and still be unable to check out every desirable coastal boutique or designer outlet in the area. 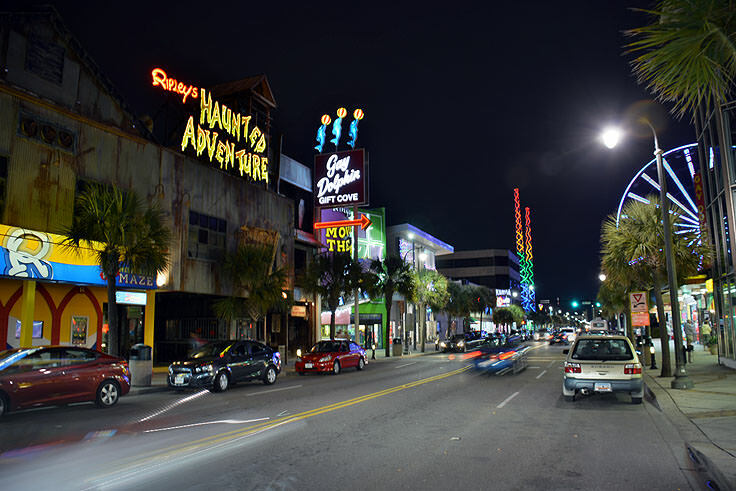 Spring breakers and night owls recognize Myrtle Beach as a great place to forego the sleep and stay out late, and there are plenty of bars and clubs located along the main drag of the boardwalk, and along the oceanfront, to explore. With live music, DJs, karaoke, and world famous drinks, (watch out for the "fish bowl"), vacationing patrons who like the party scene will find plenty of reasons to enjoy the nightlife. There are also hundreds of restaurants, ranging from classic beachside snack shops to elite fine dining establishments that are world-ranked, and everything in between. 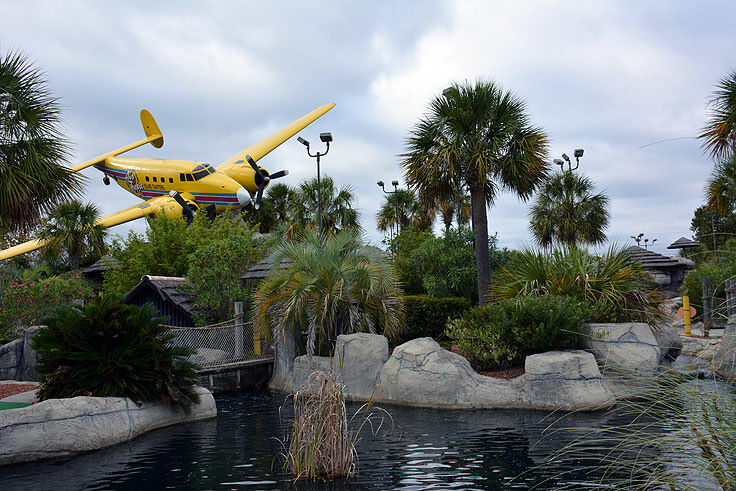 Myrtle Beach is arguably most famous for its large selection of buffets, and it's not unusual for visitors to spot dozens of marquis and hand painted signs boasting over 100 menu items at an expansive, all-you-can-eat establishment. 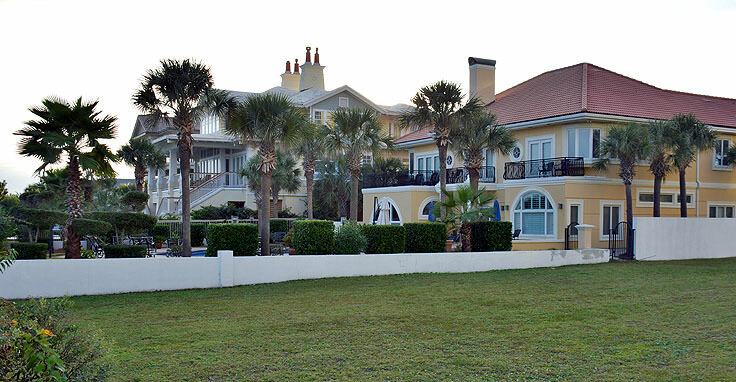 Accommodation options are just as varied, ranging from high rise oceanfront hotels to secluded vacation homes, and visitors will find thousands of options for any sized party, or for any length of stay. 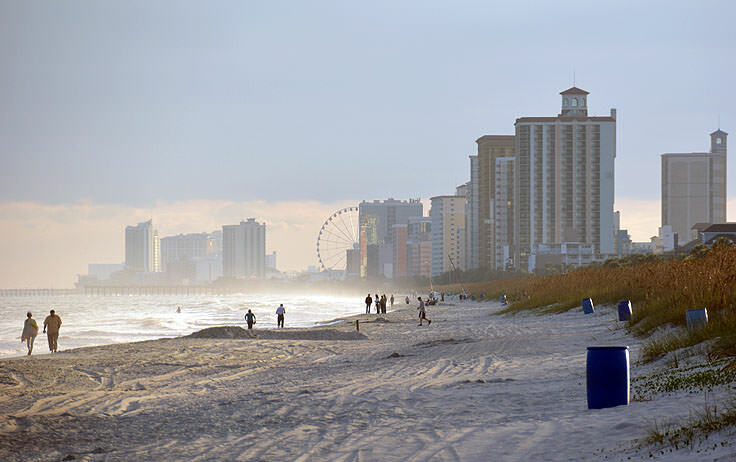 At first glance, Myrtle Beach clearly seems like the pinnacle of excess, but visitors who crave a quieter scene will find respites amidst the action as well. 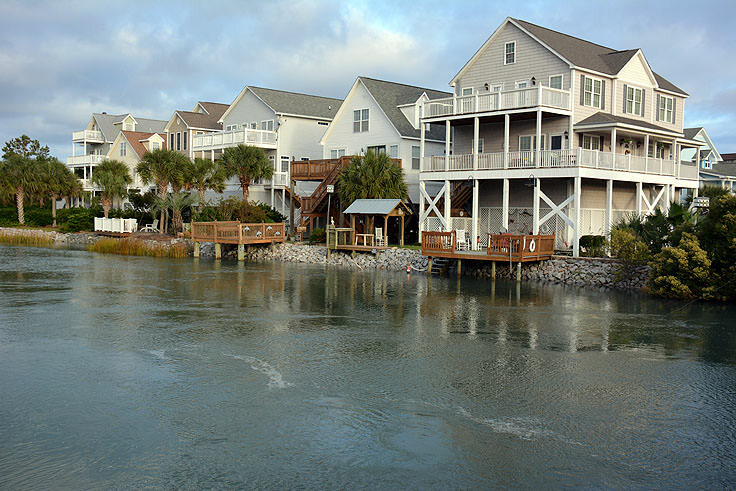 Neighboring towns like Murrells Inlet, Pawleys Island and Surfside Beach are quieter versions of this big destination along the Grand Strand, while local natural attractions, like the Brookgreen Gardens, Central Park, Inlet Point Plantation Stables, and Mclean Park, give Myrtle Beach and North Myrtle Beach a serene break from the boisterous beachfront activity. 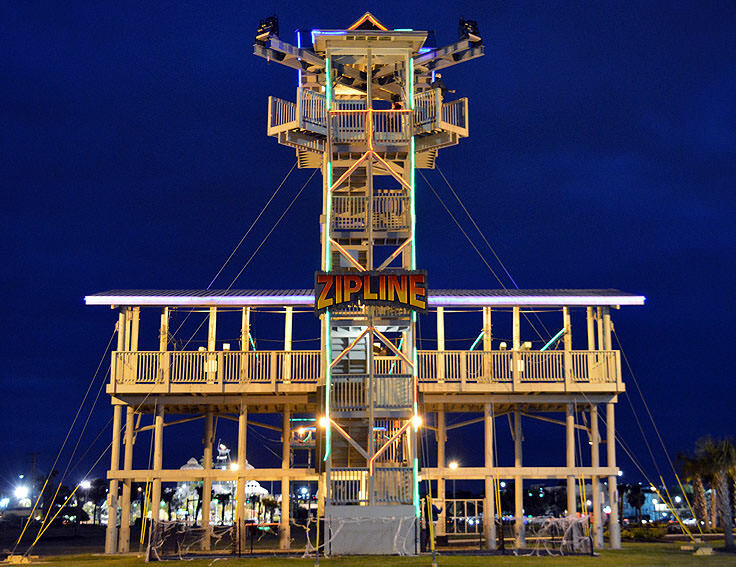 From waterparks to oceanfront Ferris wheels, biker bars to boutiques, and fishing piers to fine dining, there is clearly no stone or seashell uncovered when it comes to entertainment in Myrtle Beach. Recognized as the South's Mecca for a whirlwind of beach fun and activity, "America's Favorite Beach" is always open for longtime fans and curious newcomers alike. Pick an adventure, or sample everything this town has to offer, and enjoy a beach week that's as active and entertaining as any destination along the East Coast.